The best thing about winters is snow. Winters are near and snowboarders are desperately waiting for some adventure. This is the best part of the year for thrill seekers as they get to enjoy snowboarding and skiing in cold weather. Even a snow covered floor will make a good snowboarding platform but there are some destinations specially dedicated to such adventurous sports. 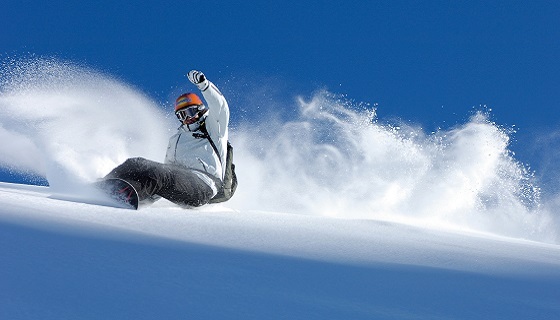 Below, we have a list of top 5 snowboarding destinations that will surely provide the ultimate snowboarding experience. Just like its name, the Mammoth Mountain is huge and full of beautiful curves. This resort is really famous for skiing and snowboarding. It has huge hollow areas which are best to elevate the speed. The points of this mountain are amazing and you can snowboard from low to high ends with exciting speed. This mountain has spectacular slopes that create an amazing snowboarding experience. A must visit place for snowboarding lovers. Whether you are a beginner or a professional, you can enjoy snowboarding at Snowbird Ski Resort. 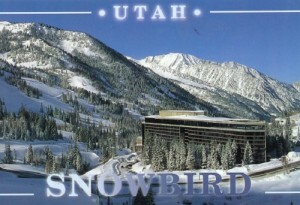 This resort has a good slope time and you can enjoy 85 runs on 2,500 acres of snow filled area. Situated in Utah, this beautiful mountain attracts a lot of crowd in winters. The slopes provide a perfect platform for snowboarding. There are steep slopes for professional snowboarders and smooth slopes for the beginners. This place is very popular amongst tourist and many people come here especially to enjoy skiing and snowboarding. 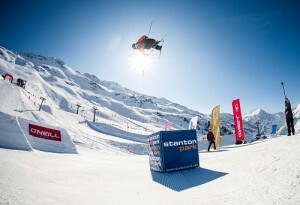 Situated in the beautiful Switzerland, this skiing zone is world famous. There are three different skiing zones and each one has its own charm and thrill. The slopes are amazing and snowboarders can enjoy a drop of about 7,152 feet vertically. The mountain is a dream for snowboarders and you can enjoy spectacular views while you drop from the top. This resort also has a lot of restaurants and many tourists visit this place in winters to see the amazing snow covered mountains. Situated in Austria, St Anton is the most popular snowboarding site. Also voted as one of the best snowboarding destinations by World Snowboard Guide, this place has amazing terrain. St Anton is a dream come true for snowboarders and skiers as it has got beautiful slopes including steeps and deep power. All the slopes of the resort are covered with trees that give a fantastic view. Situated in Colorado USA, this resort is only for pro snowboarders. This resort has said to have one of the most difficult slopes and curves that only a professional could nail. The entire resort is full of heavy snow and steep slopes. One of the most dangerous slopes can be found in Crested Butte. This resort is especially for the real thrill seekers and professionals. Don’t try to play with your luck if you are at beginner level. Due to its steep slopes, this resort is tagged as one of the most challenging snowboarding resorts.